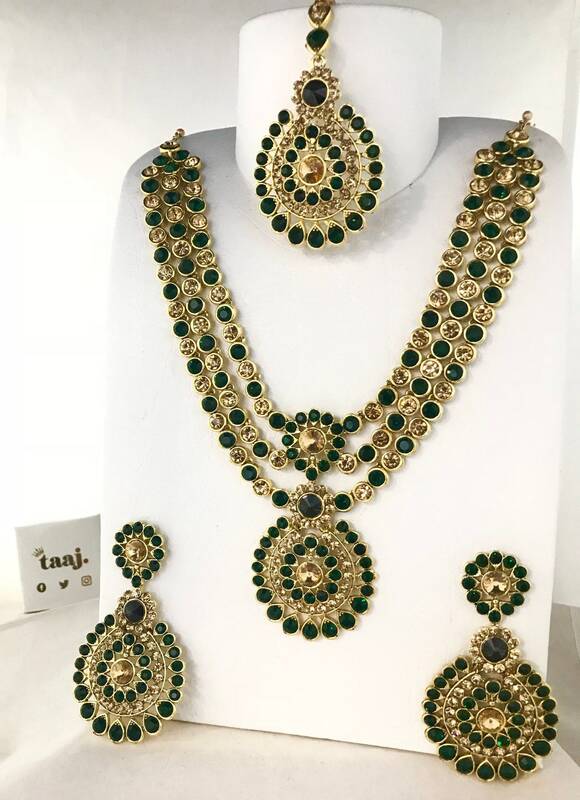 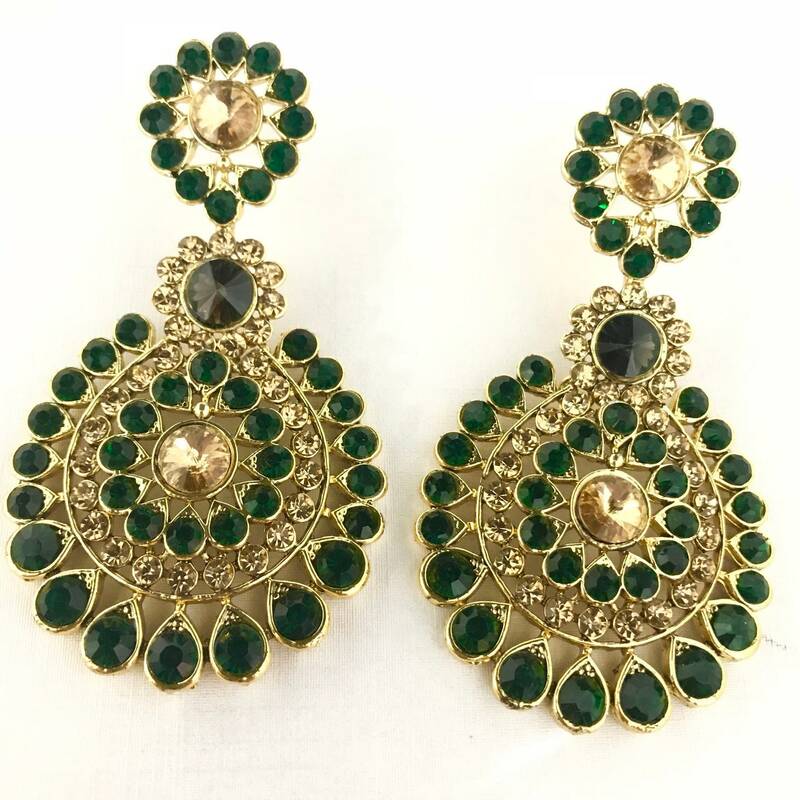 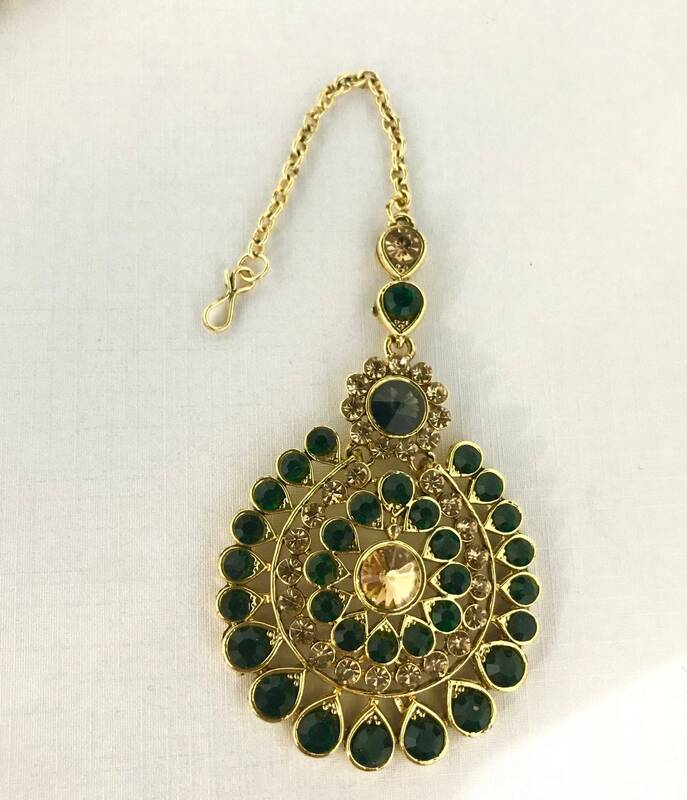 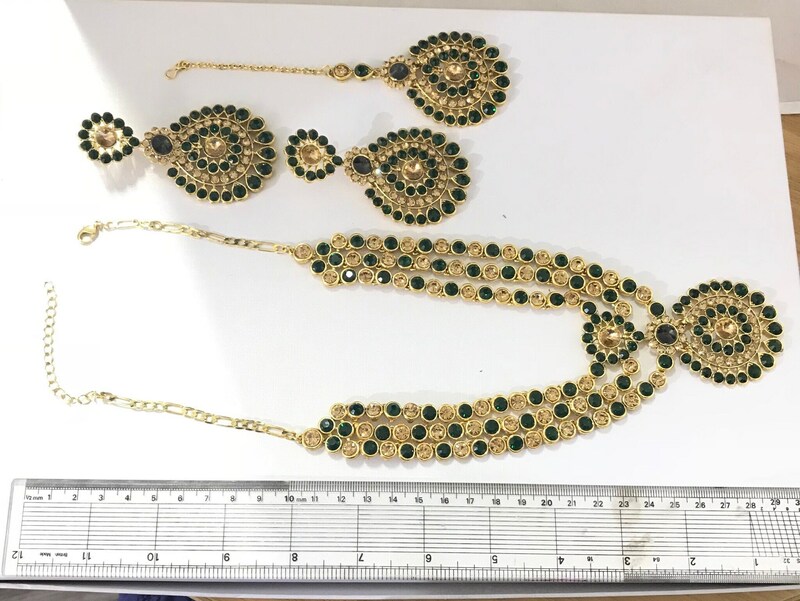 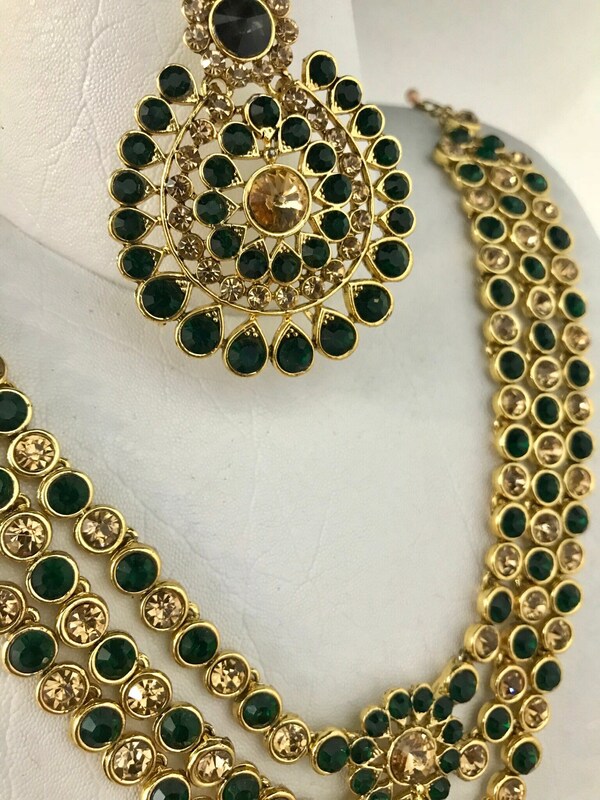 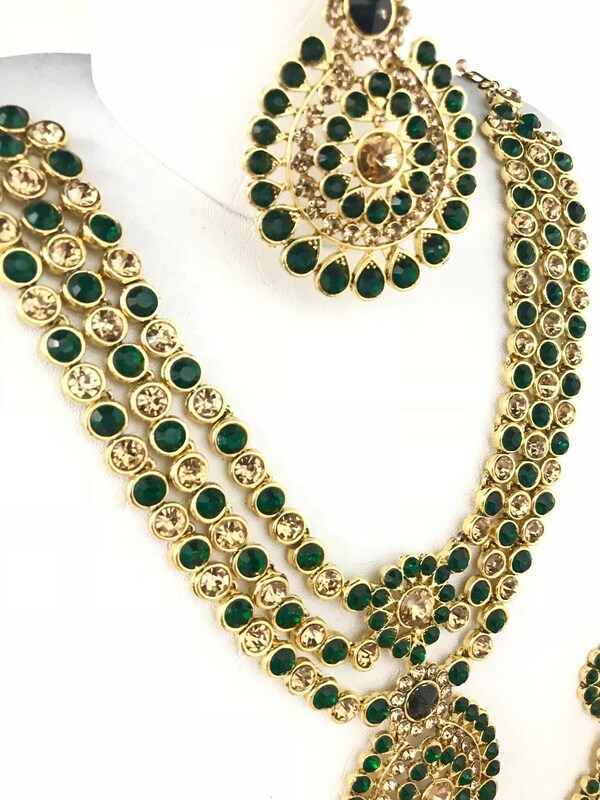 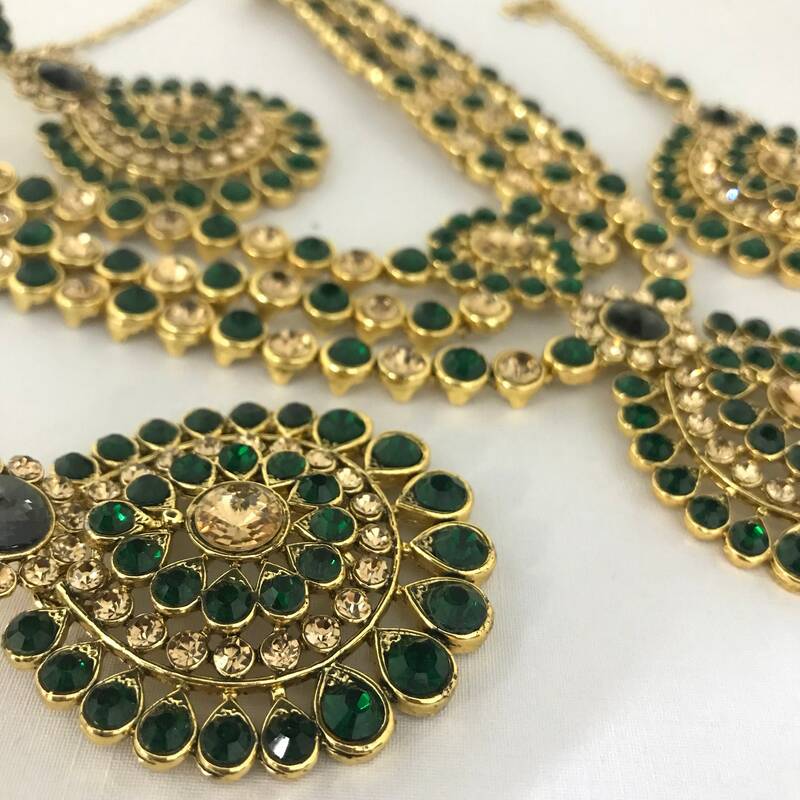 Gold coloured necklace earrings and tikka encrusted in gold and green coloured diamanté stones. 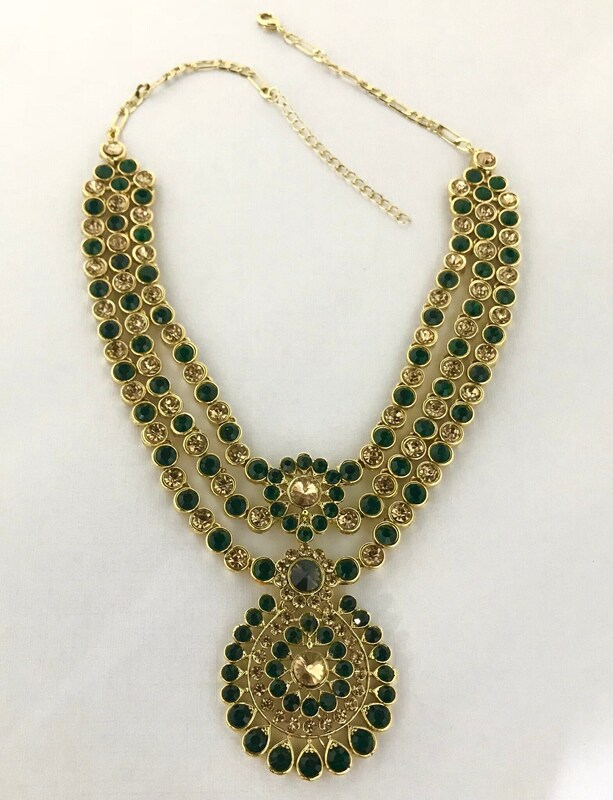 Necklace has an adjustable chain to fit around the neck. 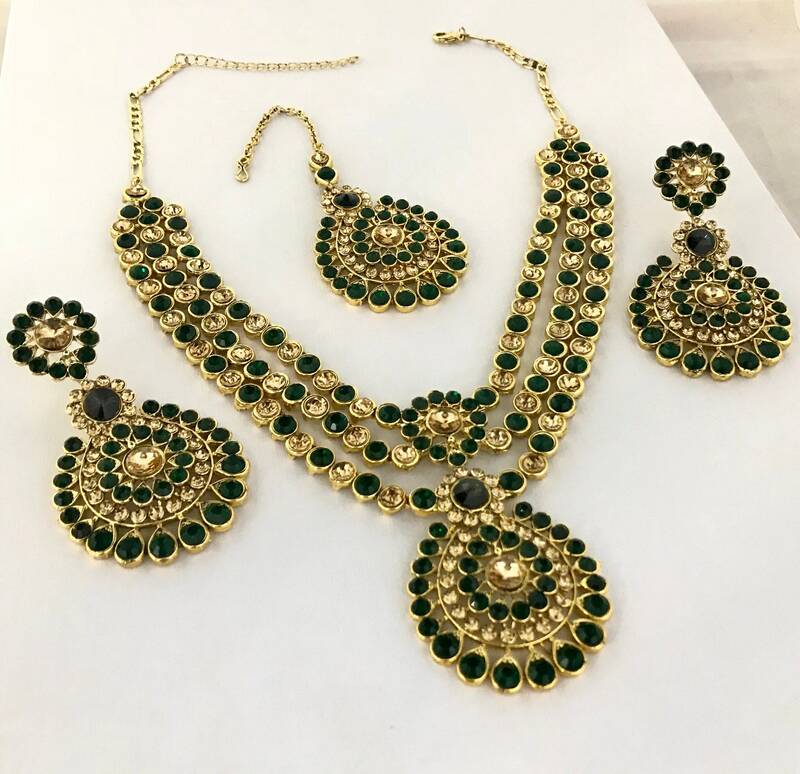 ALL ITEMS REQUIRE A SIGNATURE UPON DELIVERY. 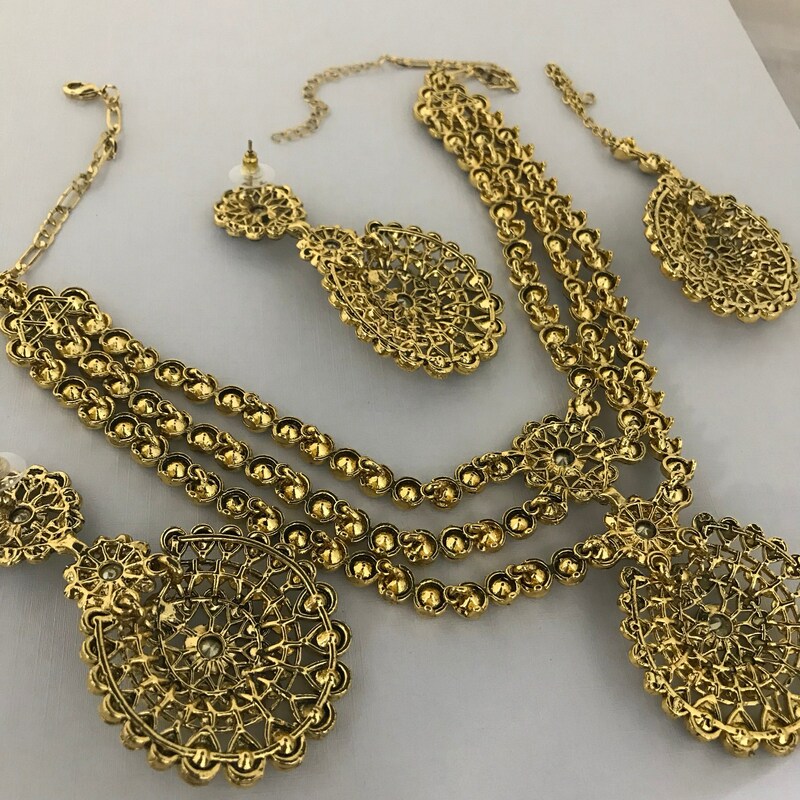 ITEMS NOT RECEIVED/COLLECTED WILL NOT BE REFUNDED.